Are you looking for extra fact fluency practice for your first grade students? 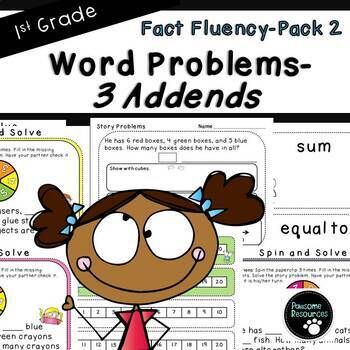 This Fact Fluency-Word Problems (3 Addends) Pack #2 (1.OA.2) is designed as a supplement to your curriculum. · Teacher Vocabulary Cards: You and your students can create the meaning together so that it is meaningful to your students. 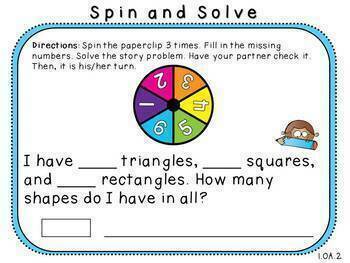 · Student Pages: These can be used for guided practice and/or independent practice. Check out my 3,152 page First Grade MEGA Math Bundle (Standards-Aligned). It contains ALL my first grade math items and is a great money saver! 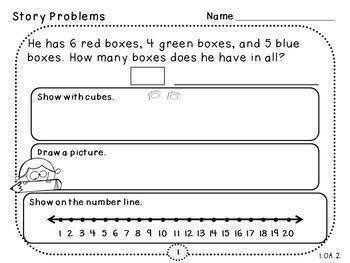 Or are you just in need of resources to cover the first grade math standards? Take a peek at my 2,788 page First Grade Math Bundle (Standards-Aligned). It contains all my mini-bundles: Fact Fluency Mini-Bundle, Place Value Mini-Bundle, Measurement Mini-Bundle, and Geometry Mini-Bundle. See below for the links to purchase these separately. · My 804 page, 77 product Fact Fluency Mini-Bundle contains products to help with your students’ fact fluency while meeting the first grade standards. 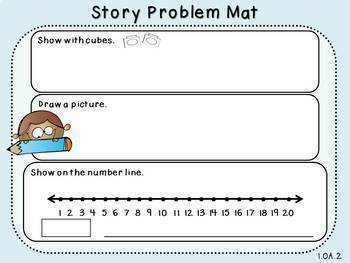 · My 1542 page, 70 product Place Value Mini-Bundle covers place value topics to help your students meet the first grade math standards. · My 266 page, 32 product Measurement Mini-Bundle has measurement-related items that promote hands-on learning and are aligned to the first grade standards. · My 176 page, 41 product Geometry Mini-Bundle contains standard-aligned activities that help your students develop their geometry skills.